Info: Situated in Samoëns, at the foot of the ski slopes of Sixt Fer à Cheval, this residence is 30 minutes by bus or car from Cluses TGV Train Station. It provides full board accommodation, ski storage and free Wi-Fi. Info: Located in Sixt-Fer-à-Cheval, Chalet Narcisse features self-catering accommodation, ski equipment hire and free ski storage, just 500 metres from the ski slopes. It offers a garden and free private parking. Info: Located on the hamlet of Hauterive, in the Grand Massif Ski Resort, Chalet La R'Batte is a self-catering wooden chalet with a balcony. 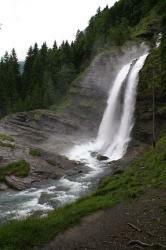 It is just 500 metres from the centre of Sixt-Fer-à-Cheval and from the ski slopes. Info: Set in an 18th-century farmhouse, this B&B is located 1.5 km from Samoens. Guests can enjoy the sauna and organise barbecues in the private, furnished garden. Grand Massif ski resorts are 2 km away.